Just days ago, NASA scientists announced the discovery of a massive hole in a Florida-sized glacier. In this scenario, sea levels would rise quickly, especially for small island states in the Pacific which—due to a new quirk in Earth’s gravity owing to the incredible ice loss at the poles—would bear the brunt of a reshaped ocean-ice system. Here’s why the scientists revised those estimates: In 2016, researchers assumed that glaciers’ tall ice cliffs would be exposed and crash. 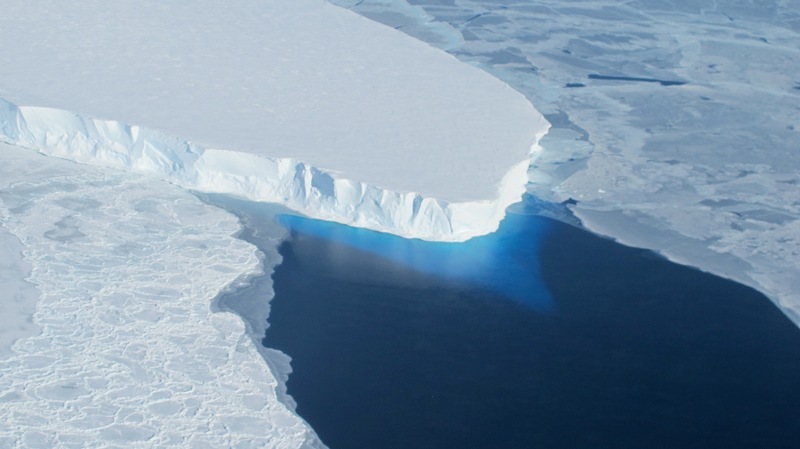 The new study’s team said ice cliff melting “is not necessary to explain the past, and therefore it might not be present in the future—at least, we don’t have much evidence to support it yet,” according to Tamsin Edwards, the paper’s lead author. In other words, the relatively extreme collapses weren’t necessary to explain past major episodes of sea-level rise, so Edwards and her team made the decision to leave them out of their model—just to see what would happen. Scientists’ job in Antarctica is incredibly daunting: They must understand not only how these massive glaciers are responding to current warming; they need to be able to put that response in context with evidence from past warm periods over millions of years, and do it all in one of the most remote places on the planet—and they must present their findings with the utmost urgency. For those of us watching intently from the sidelines, it may seem like contradicting findings are a sign scientists don’t know what they’re talking about—but in reality, it means that they are unable to rule out the very dire possibility that things could get a whole lot worse. All the news out of Antarctica is just one big reason for us to act even more decisively.